Imagine a place with acres upon acres of expansive green fields, where diverse groups of children from every corner of the earth frolic innocently as they chase balls around under the midday sun. A pair of friendly clouds hang lazily in the cobalt blue sky. Oh, and the breeze is just right. Welcome to paradise. This is the FCBEscola International Tournament, the Mecca of youth football. It should be no surprise, then, what people will do to give their kids a chance to be a part of it. "We drive an hour and a half each way to practice," said Frankie Marion, whose son and namesake is a striker for the FCBEscola Charlotte, in North Carolina. "Four days a week." The Marions—who live in Columbia, South Carolina—are similar to many FCBEscola families, willing to make huge sacrifices so their children can live out their dreams. The mere notion of spending so much time in the car would make a lot of people go bonkers. But not the Marions. Which begs the question -- no pun intended -- what drives them? If your're counting, that's a 92-mile (150-kilometer) trip. One way. 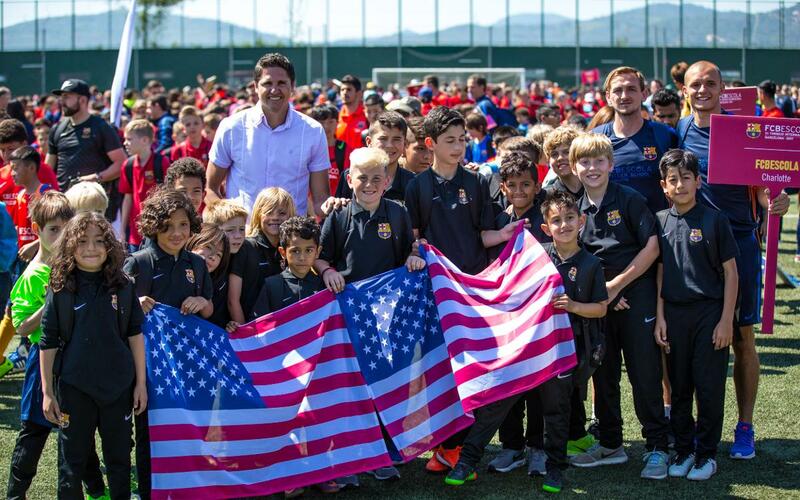 Another FCBEscola Charlotte parent, Fernando Escobar, whose family lives in Charlotte and whose son Daniel is in his second season there, said that when they heard that Barça was bringing a soccer academy there, the decision was a simple one. Decisions like these have paid off for countless families, bringing them all the way to Barcelona for a once-in-a-lifetime experience at the International Tournament, as Mr. Marion and Mr. Escobar can attest. “It’s been amazing,” said Mr. Escobar. "This is awesome."